It's not too much to say it's a hotel of perfect. 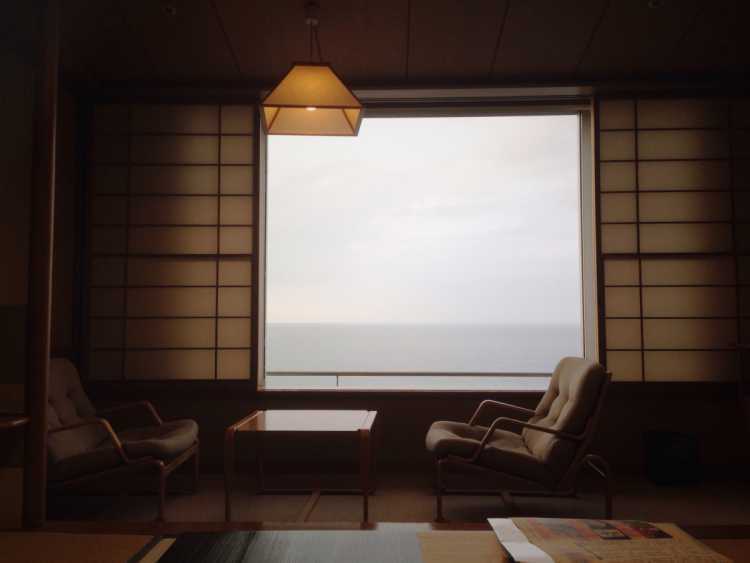 Japanese style room with ocean view and café lounge like a museum. Among all, you must be moved by the scenery of hopeful morning sea.◎Both the dinner and breakfast are prepared at your room, and their onsen uses the own source. You can enjoy also morning walk at sandy beach and popular Adachi Museum together.